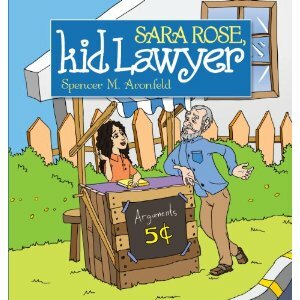 On Saturday, April 30th, Spencer M. Aronfeld of Aronfeld Trial Lawyers will be hosting a book reading and signing for his for-charity book Sara Rose, Kid Lawyer, which centers around the educational escapades of an argumentative young girl. The illustrated children’s book was written by Aronfeld and his 12 year old daughter Sara Rose and is not only a perfect gift for any child who loves to argue, but also makes great addition to any classroom or school library. Furthermore, 50% of the profits made go directly to Lawyers to the Rescue, so make a small act of kindness and purchase this amazing book!! !